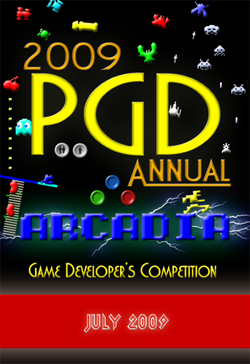 Another year, another Pascal Game Development Competition (forum). Last year there wasn’t any, the year before we bailed out due the lack of time. And the year before that we placed 2nd with .S.C.A.G.. This year we join again. And this year the team is 4 people strong! The theme this year is Arcadia. It has everything to do with arcade cabinets. We need to develop a game that could be turned into an arcade cabinet. Anyway, you can read the rules here. So what we gonna make? I can’t tell much yet, but with a team of 4 you may expect something big. We use Hell Tech Game Engine for visual power, sound, network and input. For physics we plan to use Newton Game Dynamics. This entry was posted in Games by z0r. Bookmark the permalink.